Want unlimited access to Dr. Adams? Click to learn about our membership. Iodine – It’s a BIGGIE! Iodine is necessary for the proper function of many of the body’s tissues à including the breasts, pancreas, brain, stomach, adrenal glands, skin, salivary glands, and cerebral spinal fluid. Iodine deficiency can lead to a dysfunction of these tissues and cause symptoms such as dry mouth, dry skin, reduced alertness, brain fog, fibromyalgia, fibrocystic breasts, and many others. Some studies have shown that iodine deficiency leads to a higher risk of developing various cancers, especially of the breast, prostate, and ovaries. Do not wait for any of these symptoms to arrive, everyone today will benefit from higher iodine intake. Humans tolerate large doses of iodine. The ultra-high doses that were used a century ago are helpful in medical emergencies—specifically when facing antibiotic resistant infections, viruses and stubborn fungal and yeast infections. Iodine's true role—making up more than 1/2 of the body's Immune System—is not well understood. Deficiencies in iodine have a great effect on the immune system and its response to infectious diseases including cancer, which in many cases, up to 40 percent, are caused by infections. The National Health and Nutrition Survey undertaken by the CDC showed iodine levels falling over 50% in the last 30 years. In 1940, the average American got 800 micrograms of iodine in their diet. In 1995 we averaged 135 micrograms, an 83% decline! The Japanese consume 89 times more iodine then Americans, due to their daily consumption of sea vegetables, and they have reduced rates of many chronic diseases, including the lowest rates of cancer in the world. Why is your oncologist so ignorant, why does your government not inform you, why do medical organizations and the medical press promote everything but iodine for the treatment and prevention of cancer? Even at low dosages, iodine is a powerhouse. So effective is iodine that aerosols can be effective in sterilizing a room at levels not even detectable by humans. However, Dr. David Derry says, “Dietary iodine found in iodized salt is below the amounts needed to fill mucus defense roles. To protect themselves, people wishing to boost their defense against infections should use Iodine supplement in their diets. Why would people need the larger doses of iodine? Why have iodine levels fallen 50% in the last 30 years? As I pondered these questions, I came to the conclusion that the toxicity of modern life must be impacting iodine levels. When treating life-threatening diseases we do not have months to fool around with low dosages. The anti-microbial process of iodine quickly kills bacteria, viruses, fungi, and various other microorganisms if a high enough dosage is used. We need to dial up iodine levels quickly when we use it to fight infections. Iodine can be taken internally in large quantities and will have the same effect internally as it does on external surfaces. In addition, as in breast cancer, we often need to get it concentrated to certain tissues or organs and we do that by painting the breasts with iodine. Just to give you an idea of how high iodine dosages have been taken to in the past we have to revisit the 1930s when iodine was still a universal medicine, present in the US Pharmacopeia and was used at much higher dosages than anyone even dreams of using today. The usual dose for treatment was 300 mgs (46 drops of full strength Lugol’s) to 1 gm (1000 mg, 154 drops). Dr. David Brownstein says, “Of all the elements known so far to be essential for human health, iodine is the most misunderstood and the most feared. Yet, iodine is the safest of all the essential trace elements, being the only one that can be administered safely for long periods of time to large numbers of patients in daily amounts as high as 100,000 times the RDA.” The current US daily recommended allowance (RDA) for iodine is set at 150 mcg for non-pregnant adults. 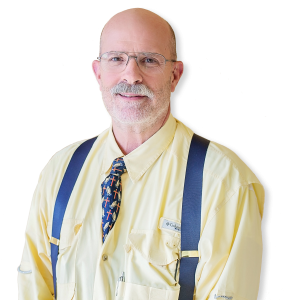 Dr. Michael B. Schachter says, “The treatment dose when a person is iodine insufficient is generally between 12.5 mg and 50 mg daily. Preliminary research indicates that if a person is iodine insufficient, it takes about three months to become iodine sufficient while ingesting a dosage of 50 mg of iodine daily and a year to achieve that while ingesting a dosage of 12.5 mg of iodine daily. For those who are interested in maintained dosages after disease and deficiencies have been dealt with understand that your thyroid gland alone needs about 6 mg of iodine per day for optimal function; the breasts of a woman will need approximately 5 mg/day (women with larger breasts need more); and other body tissues such as your adrenal glands, thymus, ovaries, hypothalamus, and pituitary gland need about 2 mg/day. Thus for optimal wellness adults should consider approximately10 to 12 mg/day. Cousens states, “Historically, as early as 1911, (11th edition of the 1910-1911 Encyclopedia Britannica) people normally took between 300,000-900,000 micrograms daily without incident. This is over 2,000 times more than Dr. Mercola’s recommendation. How is it that now only 1/5,000th of this dose is now considered safe? In 1948, there was a poorly performed and, since then, never replicated study alleging what is known as the Wolff-Chaikoff effect. The Wolff-Chaikoff effect suggested that theoretically hypothyroidism could occur as a result of excess iodine. This study indicated a decreased dosage to 2 milligrams daily would be safer. (This is still an amount 5 times higher than what Dr. Mercola is recommending.) Even the Food and Nutritional Board at the Institute of Medicine has set the tolerable upper limit of 1,100 micrograms of iodine daily (3 times higher than Dr. Mercola’s recommendation). Other researchers have used between 3,000 and 6,000 micrograms/day to prevent goiter (14 times higher than Dr. Mercola’s recommendation). One of my neighbors, who had cancer, visited the Gerson Clinic in Mexico and came back with a protocol suggesting one drop of Lugol’s a day. I of course have him taking much more. When I take, I do not count the drops. Easier and more efficient to just use a dropper or two though there are iodine sensitive people who need to be extremely cautious about dosages especially when just starting iodine supplementation. Brownstein has sometimes used between 200 and 300 milligrams of iodine daily, with higher doses for more serious and difficult diseases. Many people will find that it is important to build up gradually in order to experience the least amount of detoxification reaction from taking iodine. It is best when using strong chelators, which iodine is, to moderate the amount of detoxification symptoms or what is called the Herxemeirs reaction, which is the experience of poisons being dumped into the blood stream from the cells or from large-scale yeast die offs. This is most readily controlled with iodine in the Nascent atomic form simply because it is so easy to control and regulate low dosages. Iodine sensitive and thyroid compromised patients should read Dr. David Brownstein’s works on iodine and thyroid conditions. Many people are already severely thyroid compromised and are on drugs that complicate things. Supplementing with iodine can replenish your iodine stores while flushing out poisons. People usually do not experience the negative effects of some type of detoxification when using iodine unless they are removing unusually high levels of bromide and fluoride. Most people actually notice increased energy, better sleep, and mental clarity. Over the last 30 years, our iodine intake has declined 50%, while the ingestion of toxic competing halogens (bromine, fluorine, chlorine, and perchlorate) has dramatically increased. These are the two iodine products I use and recommend. The Nascent Iodineis better for iodine sensitive individuals and for children where lower dosages are needed and recommended. Lugol’s is less expensive and better for transdermal applications as well as higher oral dosages. When I take iodine orally, I also drop in a good amount of an exceptionally strong liquid selenium into the glass because even a small amount of selenium reduces the chances of dying of cancer by almost fifty percent. There are other products in solid form but have never used or recommended them. Without iodine to control infection, surgery and hospitals in general become inherently more dangerous. For that matter, in the future, without iodine, no one would go into a hospital unless they absolutely had to because of all the germs on floors and other surfaces and floating around in the air and nothing the doctors will give in terms of antibiotics will help because they have already created so many antibiotic resistant strains of pathogens. The last thing we need to be afraid of is iodine used in high enough dosages to take down infections that are life-threatening. Do not be shy about administering high dosages unless it is the first administration of iodine to a thyroid-compromised patient. That said, if there is time, always start out with low dosages. It is like putting your toe in hot water to see if you can get safely into the tub. Check out your sensitivity to iodine if you are a first time user. Many diabetics have noticed a decrease in insulin requirements after adding Iodine tn their regimen. First, be aware that Iodine is an essential ingredient in making methamphetamine. Ergo, it is difficult to find at a significant concentration. The recs are: the thyroid gland needs about 6 mg / day. The breasts of a woman require about 5 mg of Iodine / day. The adrenals, ovaries, hypothalmus, pituitary need about 2 mg / day of Iodine. Thus for optimal wellness, we need about 12 mg / day of Iodine. Some compounding pharmacies will sell Lugol’s “behind the counter”. Iodoral tablets are 12.5 mg / tablet and are used by many. Please what quantity of selenium would one use with different quantities of Lugols 2% iodine? What other nutrients should one combine with iodine? The recommended daily dose / requirements of Iodine are 12.5 mg. Some recommend Selenium to be taken with Iodine and the recommended daily doses of Selenium range from 200 to 1000 micrograms (mcg) / day. Selenium and Iodine have a very strong working relationship with one another. Selenium is needed to help the Iodine, and to protect the thyroid gland from oxidative damage. alot of the symptoms of low thyroid. Thanks for sharing the Iodine tips you have discovered! Dr. Adams, do you think that it would be enough to have a few Brazilian nuts as a daily source of selenium? We are trying to figure out if candida is causing eczema and arthritis for my wife and myself. We noticed that my wife’s skin gets much better when she takes potassium iodide. In my case, I noticed some improvement after 9% sea salt compresses. Are there any iodine-related protocols for arthritis? Hi, George. I don’t know about Brazil nuts, but my suspicion is that it matters where they are grown in Brazil. I’d suggest consulting Farmer Google! I have not seen an arthritis – Iodine protocol other than the above recs. I can’t explain the skin Potassium Iodine observation. Some have found the hardness of their water effects the eczema. Do you find better absorption through ingesting or painting on skin? Thanks for your question, Julie. In some folks, the Iodine doesn’t seem to enter by one route, so they switch to the other. Most prefer the Iodoral tablets orally to the Lugol’s topically. Unfortunately, the blood levels aren’t really that helpful. Some Docs will give a known dose and then check urine levels afterwards. The reality is that our bodies need in the neighborhood of 12 mg / day. Some advocate taking 25 mg twice daily for a period of 1 to 3 months and then reduce back down to the 12 mg / day. Fill out the form below to request your FREE meet and greet. You and the doc will learn more about each other and see if becoming a member is a good fit for you! 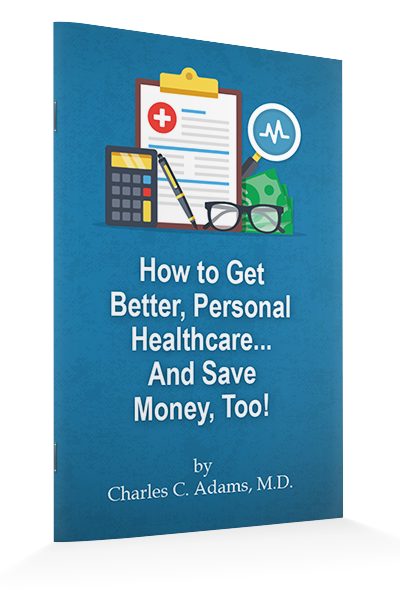 Join our mailing list and get a FREE copy of Dr. Adams' report on how to get better, personal healthcare for less! Thank you for subscribing to Personal Integrative Medicine PLLC.